NATIONAL Recycling Week kicks off next week on Monday, November 12. 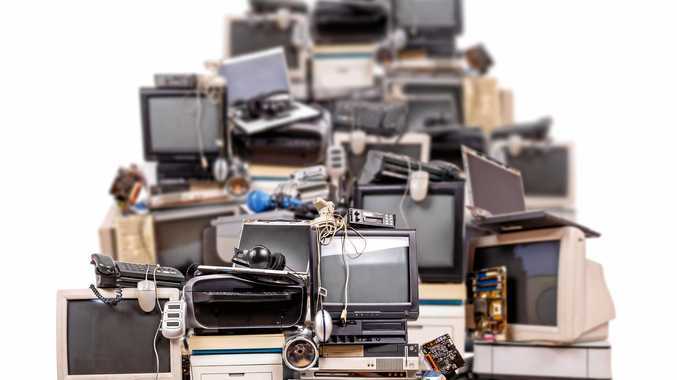 This week Noosa Council's Waste Education Team offers some background on E-waste and how you can reduce, reuse and recycle your e-waste at Council Recycling Week events next week. E-waste - or electronic waste - is anything with a plug or a battery. That's things like computers, laptops, TV's, DVD players, Gameboys and controls, CD players, mobile phones and phone chargers. According to the Australian Bureau of Statistics, Australians are among the highest users of technology and e-waste is one of the fastest growing types of waste. ABS data also forecasts that the cumulative volume of televisions and computers reaching the end of their useful life is expected to reach 181,000 tonnes - 44 million units! - in 2027-28. Used electronic equipment doesn't break down in landfill. Much of it contains finite resources such as copper, aluminium, nickel and zinc which are all salvaged during the recycled process. The Noosa Council's e-waste recycling company MRI E-cycle recover over 95% of the materials for reuse and any data left on a device will be destroyed through the recycling process. Noosa Council and Bunnings Noosaville will host a FREE e-Waste and Household Batteries Drop Off day from 8am to 4pm on Saturday, November 17. Residents can also drop off e-waste for free at the Noosa Resource Recovery Centre Eumundi 7 days a week. The Men's Shed will also be on site demonstrating how easy it is to make new items out of old pallets and recycled wood. Remember: Recycling is great but the best option is making choices that don't create waste in the first place! Remember: Avoid, Reduce, Reuse, Recycle! Check out the Noosa Council recycling app for more tips - search 'RecycleSmart' in the App Store. Noosa News is proud to be partnering with Noosa Council in an effort to increase recycling and reduce waste in our beautiful community. Next week: Weekend activities for the final days of Recycling Week 2018.